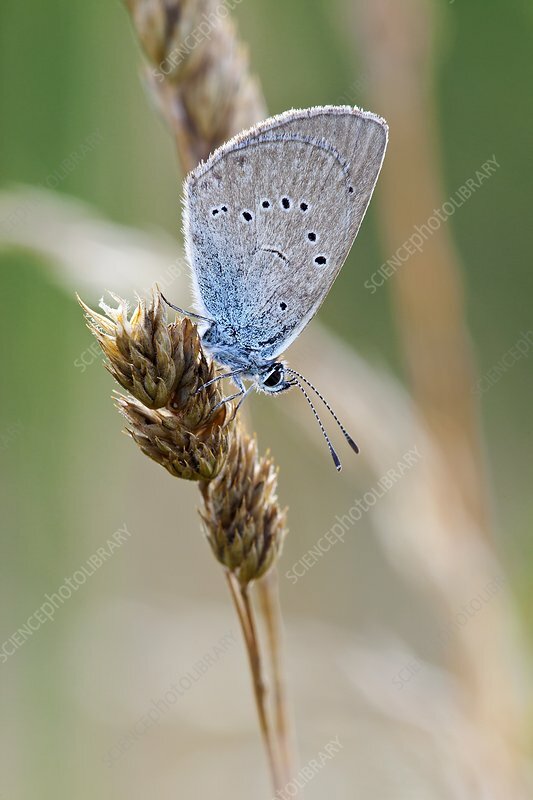 Small blue (Cupido minimus) butterfly resting on a grass seed-head. This species of butterfly is found throughout much of Europe and Asia. Photographed in Poland.